The Ferrari 250 series includes an almost dizzying multitude of race and road cars built from 1953 up to the advent of the 275 GTB in 1964, and the 250 GT SWB (short wheelbase) represents a turning point for the marque according to many Ferraristi. Some enthusiasts see it as the last true dualpurpose Ferrari that could be driven to the race, then raced, then driven home. The SWB evolved out of a series of cars that had the Colombo 3-liter V-12 and typically rode on a 102-inch wheelbase. 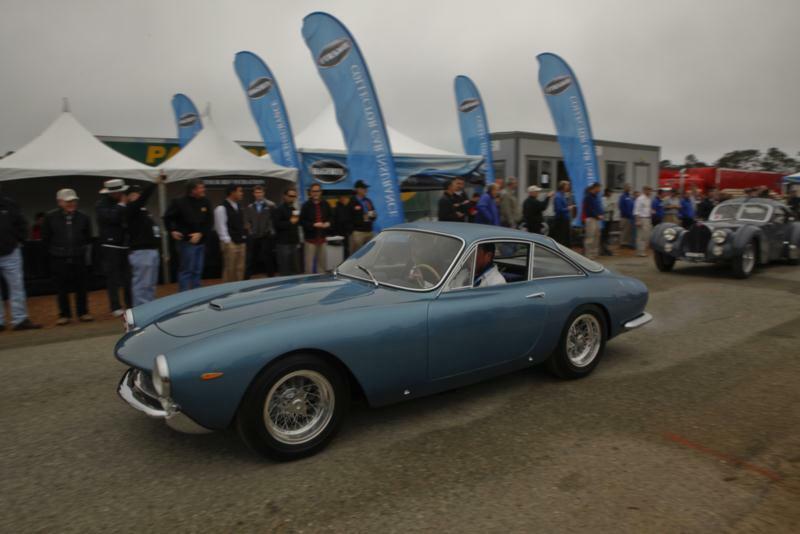 The seed was planted for the 250 GT SWB when in 1959 a 250 GT Tour De France Berlinetta race car was built for LeMans on a shorter 94-inch wheelbase, presumably to quicken handling. At the Paris show later that year, the Ferrari 250 GT SWB appeared on the stand with an elegant and aerodynamic fastback type profile designed by Pininfarina, as well as four-wheel disc brakes, which was a first for a road-going Ferrari GT. Mechanically very similar to that single SWB 250 Tour De France, 162 were built from 1960 to 1962, and they spanned the spectrum from steel-bodied, leather-upholstered GTs with upwards of 240 hp, to aluminum-bodied, full-on race cars with much more power. The car ultimately helped Ferrari win the Constructor's championship in 1961. Ferrari’s short-wheelbase 250 GT California Spyder that went into production concurrently with the 250 GT SWB Berlinetta in 1960 (after 49 long-wheelbase Spyders had been built) can be considered a convertible counterpart to the 250 GT SWB Berlinetta in much the same way that the later Ferrari 275 GTB/4 had a convertible counterpart as well.